The National Association for Stock Car Auto Racing (NASCAR) is the largest sanctioning body of motorsports in the United States. The three largest racing series sanctioned by NASCAR are the NEXTEL Cup, the Busch Series and the Craftsman Truck Series. 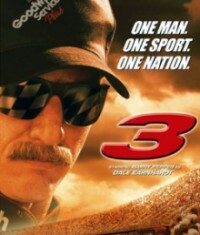 By far, the most famous number in NASCAR history is the #3 driven by the late Dale Earnhardt. He was in third place when he fatally crashed on the last lap of the Daytona 500 on February 18, 2001. #3 memorabilia still outsells all of the other drivers, even seven years after his death.